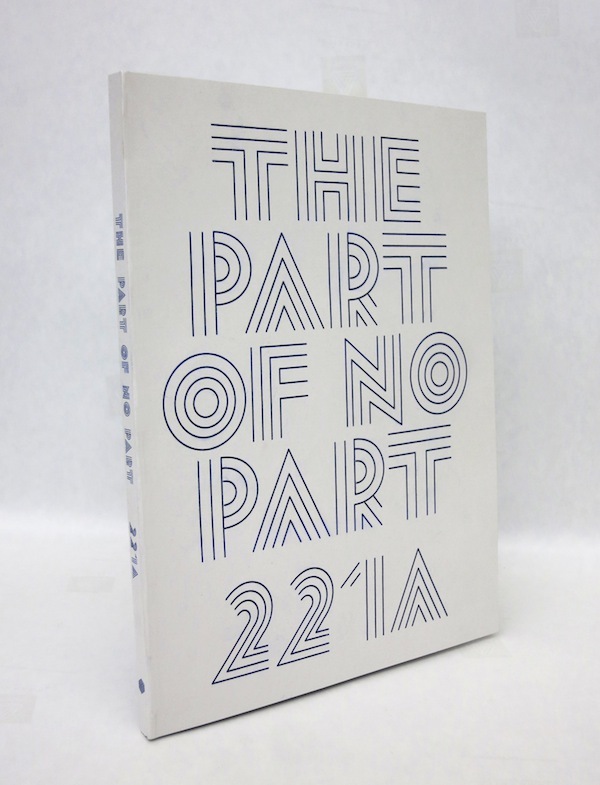 Starting in September 2012, The Part of No Part was presented in an episodic fashion, punctuating the regular programming at 221A over the course of one year and culminating into the grande finale, where each part was performed as part of a whole. For more information on the project, please visit the The Part of No Part page. The catalogue includes over 50 colour reproductions of the artists’ work, and the three “scripts” from the performances: Notes from the Overcoat and the Undercoat by Tiziana La Melia, A Letter by Willie Brisco and The Ghost & The Drone by Sam Forsythe.